Earlier this year Colton High School senior and Colton FFA Chapter President Honor Hansen won the Mount Hood FFA District Cooperatives Quiz and earned her the chance to compete in the state competition where she placed second. Honor Hansen is a 17-year-old senior at Colton High School and recently played "Maria" in the drama club's production of "Sound of Music." For the past two years she has been the Colton FFA chapter president. 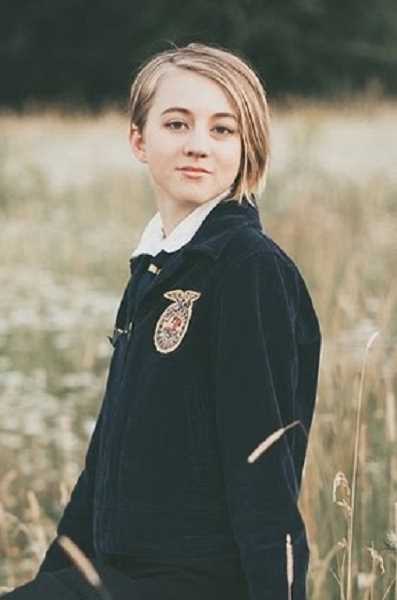 Earlier this year she won the Mount Hood FFA District Cooperatives Quiz which earned her a berth to the state competition in Redmond where she earned second place. Hansen says she has met people she never would have met and had opportunities to grow in a lot of areas because of her participation in FFA. "Without the opportunities to participate in public speaking and leadership, I would not have had the confidence to participate in drama club or perform well at job interviews," Hansen said. "During the past two years I had the chance to help younger kids learn about the Ag field." And the Agriculture field is very important to Oregon's economy with the top ten commodities being cattle, nursery, hay, milk, grass seed, wheat, potatoes, pears, wine grapes and onions all produced by the farming community. The FFA program provides a path to education for agricultural careers, including tech, agricultural and business. Hansen, who also plays flute in the CHS band, organ at the Colton Lutheran Church and sings in the CHS choir, as well as named chemistry student of the month, has changed a bit on her future plans. Her senior project was with a SAIF plan ensuring safety within the Colton High School "shop" area. She likes Ag and always planned a career in the business side of it, but this year took psychology classes with Allan Bruner and she says it clicked. 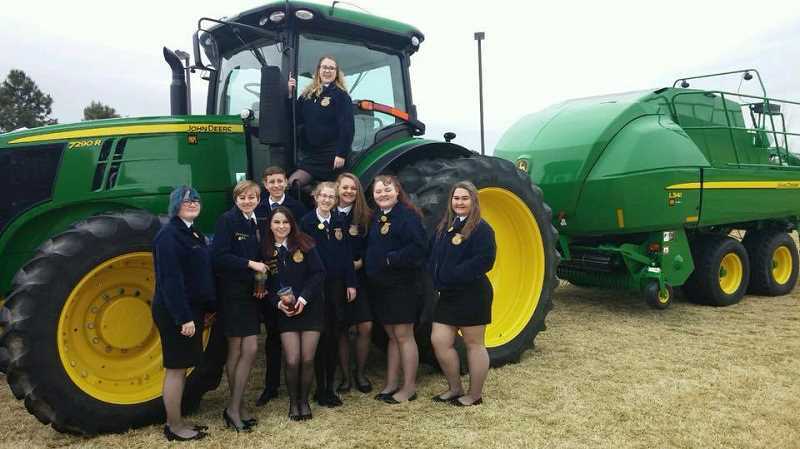 Along with working with younger members of FFA in leadership areas, her new educational passion has led her to a new journey: she will be studying school psychology at Portland State University this fall. She has already been awarded numerous scholarships, which will be announced in the coming weeks and is looking forward to where FFA and education from CHS will take her. But mention animals to her, her eyes light up her smile gets huge and she will say something like, "I love goats." She may not be staying within the "field" of agriculture but she will always spend part of her life in the field. Fellow FFA member Kiely Pitts, reporter for the Colton chapter, earned second at the regional competition and bronze at state for the chapter's scrapbook. "The rest of the students participated in tours, workshops and sessions," CHS CTE teacher and FFA adviser Lupe Hobgood said. "And while in Redmond, they served as delegates on the state committee." The FFA group also participated in workshops on tractor operation, combining and harvesting. On a side note, the day the FFA group left for the state competition, Hobgood and her husband Randy had their first baby, a son named Rowdy. "Mrs. (Tori) Hazelton, a bus driver and two parents took the students to state while I stayed home and had our son," Hobgood said.